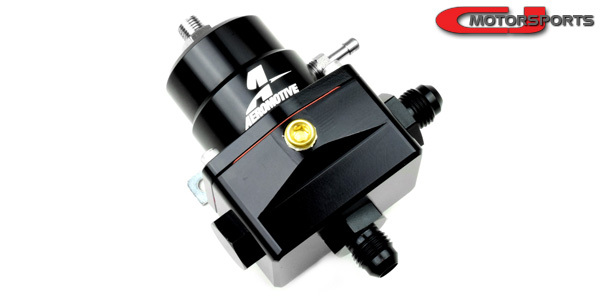 CJ Motorsports has found the Aeromotive 13109 to be reliable, consistent, compact, and economical. 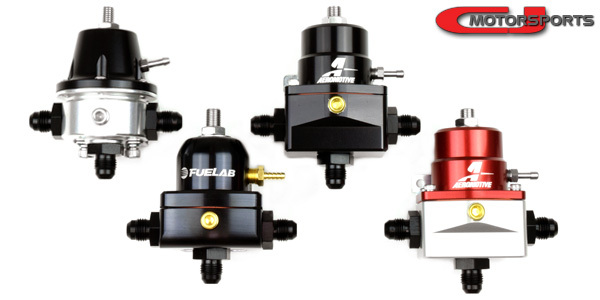 This regulator is entirely billet aluminum and available in silver (with a red anodized cap), or all black. It features a pair of -6 inlet ports on the left and right sides. 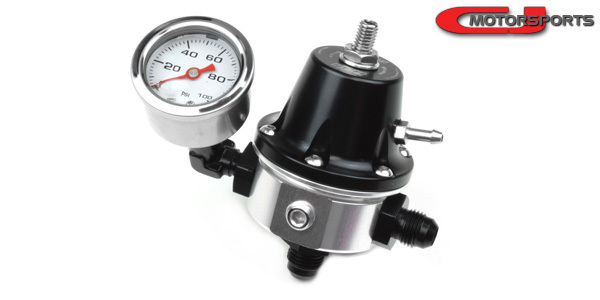 There is a 1/8 NPT gauge/sensor port on the front. The -6 outlet port is located on the bottom. All -6 ports are for use with o-ring port fittings (not included, but optional). Connecting the vacuum port to the intake manifold will provide a 1:1 "rising rate" fuel pressure. The vacuum port can be left open for a static fuel pressure setting to emulate a returnless fuel system.